Sarbananda Sonowal is the current Chief Minister of Assam. He is the 14th Chief Minister of Assam and assumed office on 24 May 2016. He is an Indian politician who was born on 31 October 1961 at Dinjan in Assam, India. Sarbananda Sonowal is regarded as the Jatiya Nayak of Assam. Previously Sarbananda Sonowal served as the Union Minister for Sports and Youth Affairs and also served as the president for BJP Assam. 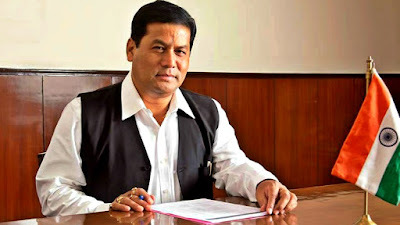 Sri Sonowal was the president of the All Assam Students Union / AASU from the year 1992 to 1999 and is popularly known as dynamic and firebrand youth politician.